Lizzie Shane – Lights. Camera. Romance. Welcome to the online home of award-winning contemporary romance author Lizzie Shane! 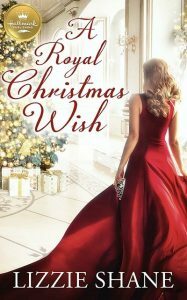 I’m delighted to announce that pre-order is now available for my upcoming Hallmark Publishing release, A ROYAL CHRISTMAS WISH! Jenny is just a regular girl trying to figure out what she wants to do with her life, until she makes a wish and wakes up one morning married to a bonafide prince! Pre-order your copy today! The next Bouquet Catchers novel is almost here! This time it’s the Great Maggie Tate, renegade movie star, who’s about to be hit by the love stick. 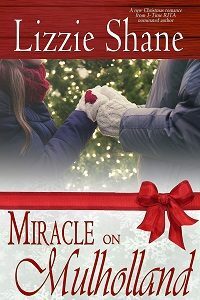 When Maggie inherits a house and escapes to a small Oregon town, the last thing she expects is to fall for the boy next door. Again. 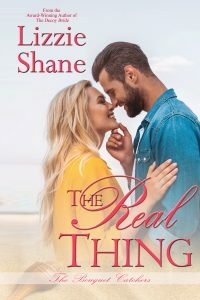 THE REAL THING hits shelves on May 28th! Pre-order coming soon! Catch MIRACLE ON MULHOLLAND, the heartwarming holiday romance readers are calling “five touching stars” and a “charming holiday read.” Now available from Amazon :: Barnes&Noble :: Apple :: Kobo. The first five books of the Reality Romance series are now available from Audible! Listen while you’re driving or working out or cooking or relaxing on your porch in the sun with your eyes closed. Click here to listen to samples of all five books or buy now. Like Lizzie on Facebook and sign up for the Newsletter to stay apprised of all upcoming Lizzie Shane releases. And Happy Reading!